Are they, aren't they? We usually can't keep up with Harry Styles' love life, but for the past few weeks the One Direction singer has been linked to just one lady - Cara Delevingne. During an appearance at London Fashion Week yesterday, the star finally addressed the rumours. 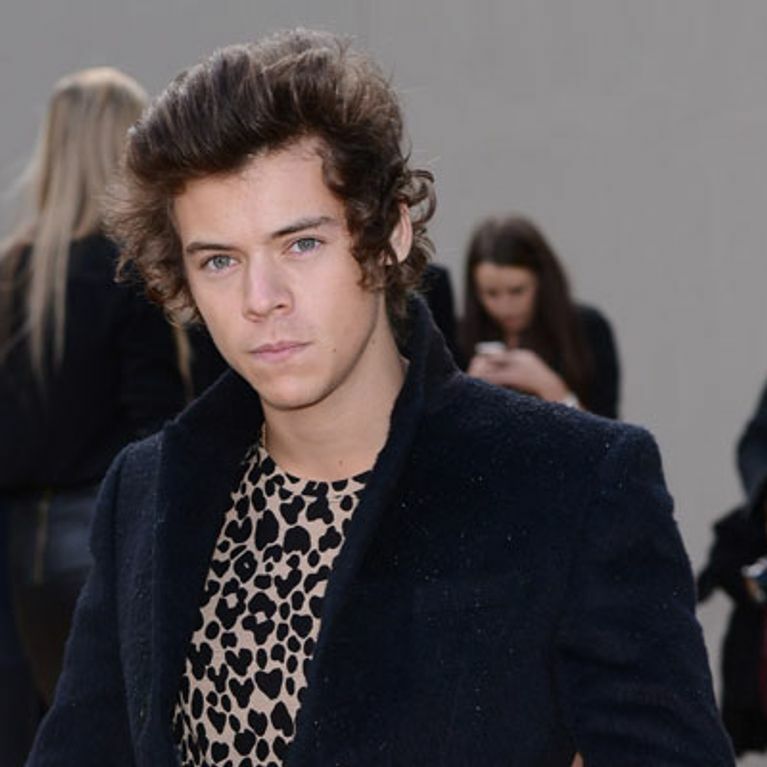 Harry Styles has been talking about his rumoured new girlfriend Cara Delevingne. But if the One Direction star is to be believed, she's not his girl at all. Harry has been a regular at this year's London Fashion Week, seemingly charming everyone he comes across. And in a chat with reporters ahead of the Burberry show - where Cara, 21, stormed the catwalk - Harry was questioned about the Vogue model. The journo asked: "Are you looking forward to seeing your girl Cara on the runway?" The 19-year-old replied: "She's not my girl! I know what you're doing." And in another interview when asked about Cara's talents as a model, he answered: "She's good at walking…I think she's got it - I think she's very good." But when quizzed on which model he finds most beautiful, Harry gave nothing away when he replied with a smirk: "All of them!" The One Direction singer clearly spent some time backstage with Cara, as a snap of the pair together has emerged on Twitter. 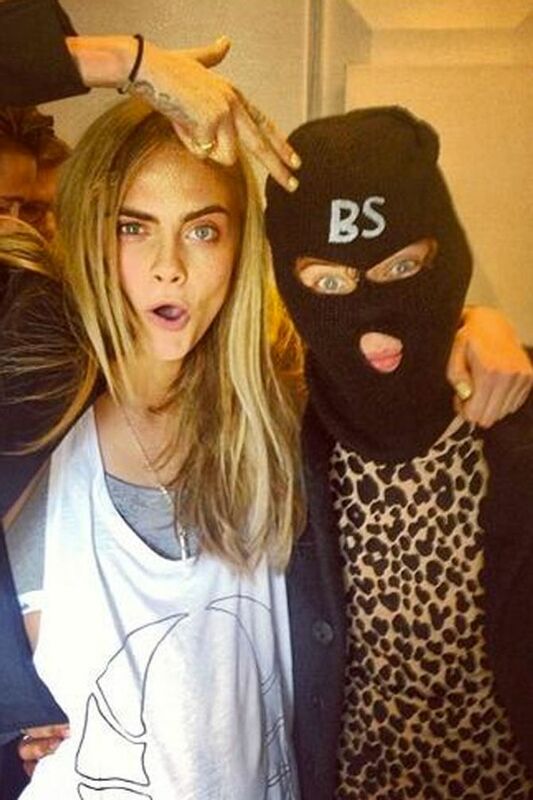 Harry is wearing Cara's balaclava, which she had sported in an earlier interview. Harry and Cara were rumoured to be dating after they were spotted on a cinema date earlier this month. The pair met last year through mutual friends and when the singer hinted there was someone special in his life, it was presumed to be Cara. But Harry definitely isn't short of female attention. When he wasn't preoccupied with trying his best not to stare at Cara on the Burberry runway, Harry was putting on a flirty display with 31-year-old Sienna Miller. The pair sat front row with Suki Waterhouse and Paloma Faith, but only seemed to have eyes for each other as they laughed and joked their way through the show. Harry's pal Alexa Chung - who met the star through mutual pal Nick Grimshaw - tried to explain why Harry is so popular with the ladies. She revealed: "He's got a magnetic quality about him. If he looks at you it's like staring into the face of a lighthouse. He's just incredibly charming."